Now that we had the car looking as ragged as possible with perfect timing our new Fortune Auto Dreadnought II coilovers arrived which allowed us to put them on and check fitment. 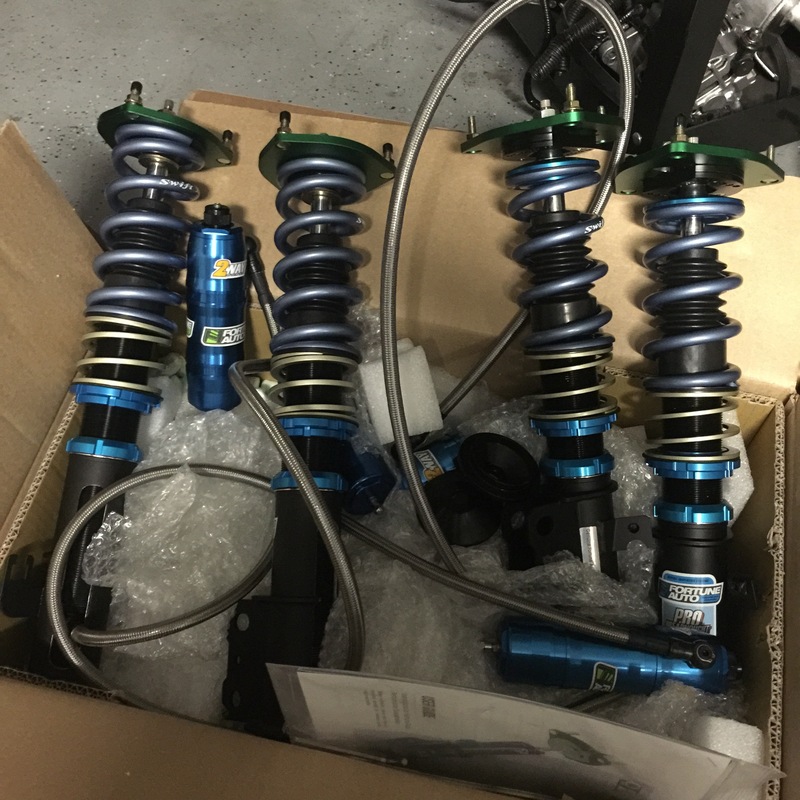 These 2 way coilovers are hand built and made to our spec, they also come with a complete shock dyno graph. 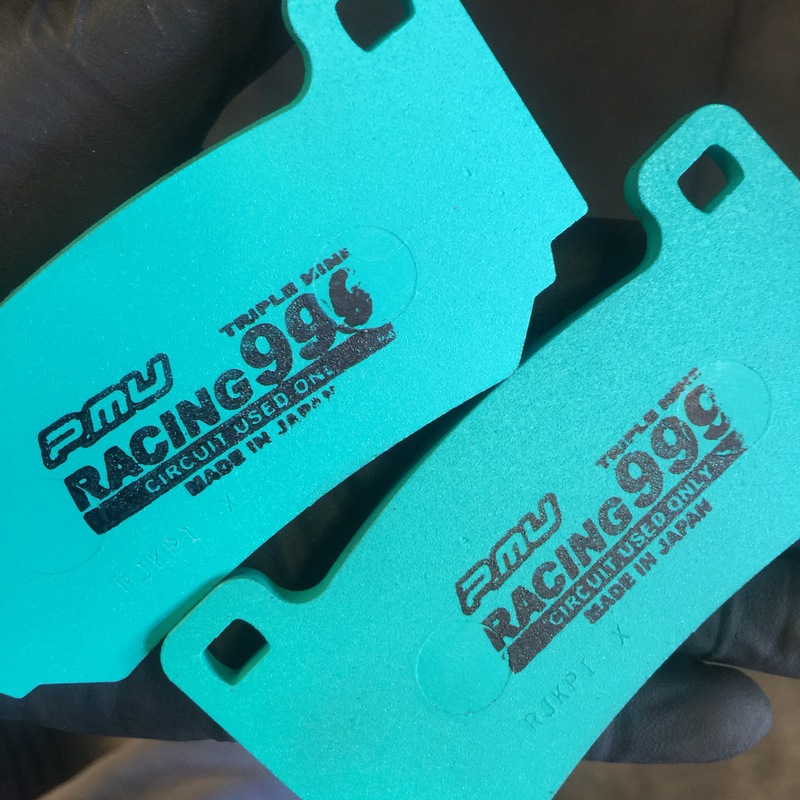 Also coming with them are our Swift Springs and their helper springs, although we do plan on doing some changing to find the perfect setup but these will be a great start at 13k all around. 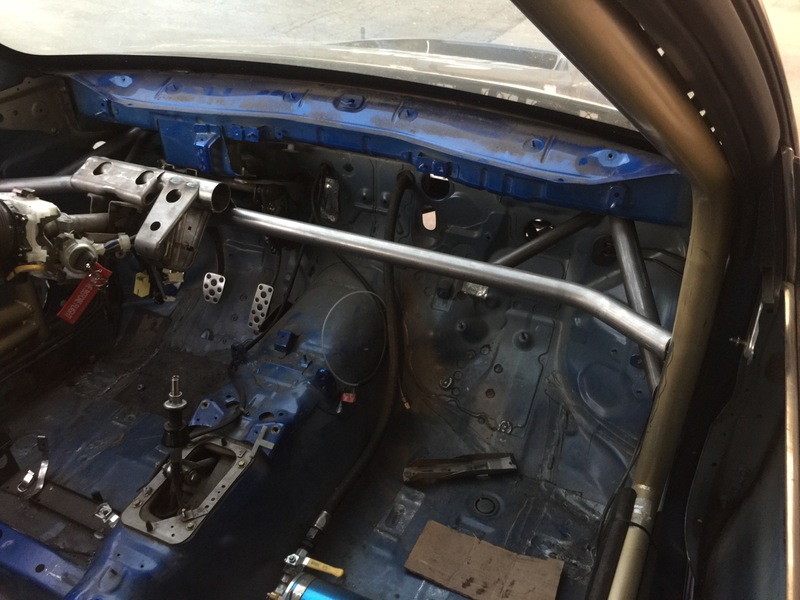 With the new coilovers ready to install Ken of Koherent Chassis Workz took over and began his art of setting up a baseline setup giving us something to start the year with. 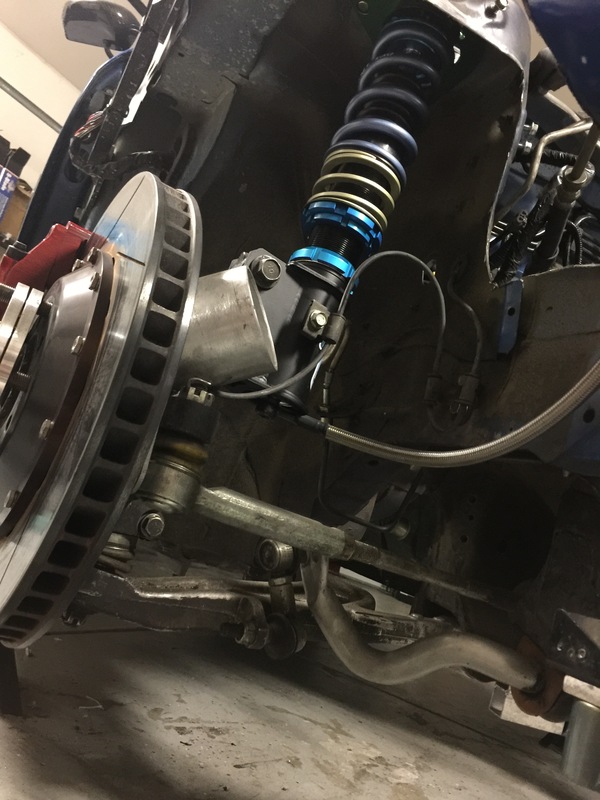 But before we were finished with the install we noticed that we were going to run into problems with our rear trailing arms, this led us to contact TSS fab and get a set of their tubular rear trailing arms. As well as this some other items we saw led us to send the coilovers back to Fortune Auto for some alterations. 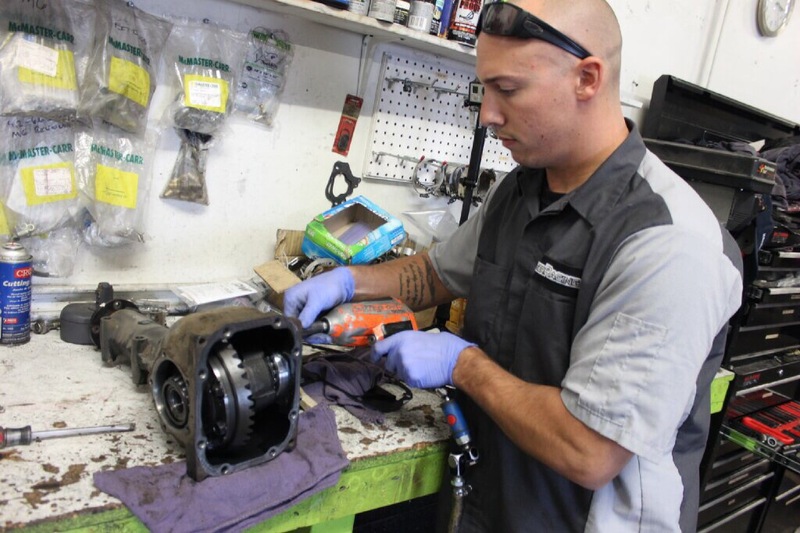 This is made easy being the amount of flexibility that Fortune Auto has within their facility. Additionally the decision was made to complete the AP Racing BBK and get the rears to compliment the fronts and really allow the car to be stopped in a big hurry. After having the fronts installed for all of the 2014 season I was more than willing to fork out the cash on these. This is one modification I really wish I could go back in time and do much earlier being the amount of confidence that it allowed me to have in the car. Along with the BBK it is very important to select the correct pad for your style of driving. 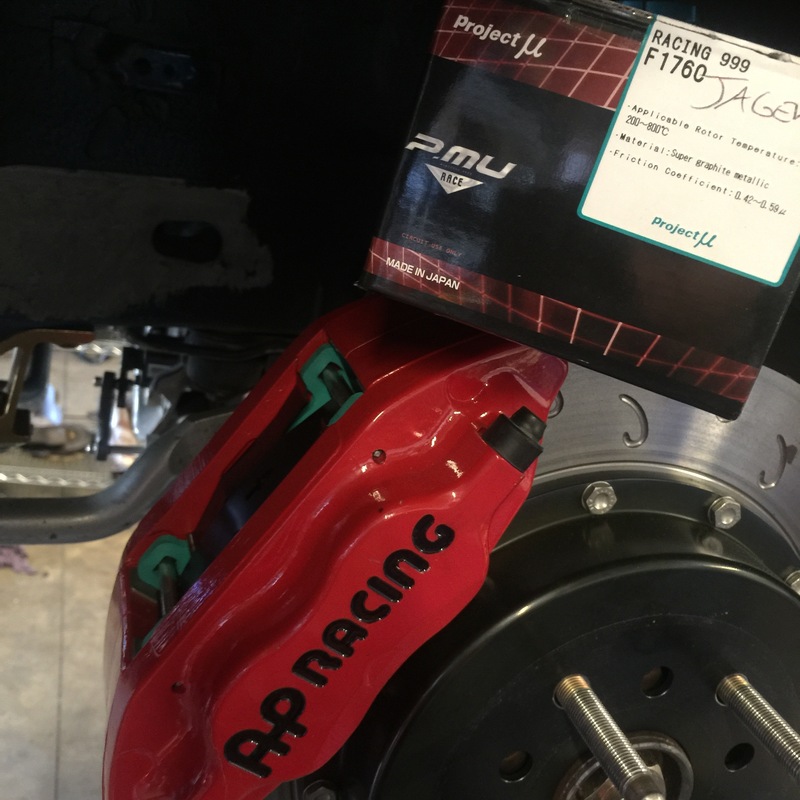 I use Project Mu racing pads and I could not be happier with their performance. The 999 pads have exceeded my expectations without a doubt. They have an amazing ability to have a great initial bite and not fade like other pads tend to do. Beyond that they also are able to withstand a huge amount of abuse and keep on lasting. Here is the bar that Piere added replacing the stock dash bar, keeping it as low as possible and triangulating to the front of the car. Next while the car was pretty much empty Gil took the time to take out the rear diff and install our new OS Giken Rear diff. 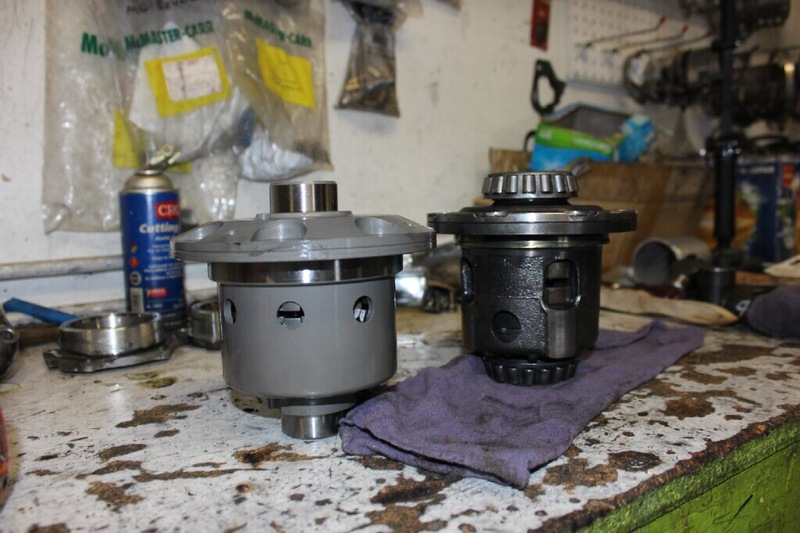 Here you see the difference between the stock differential and the new OS Giken piece. Many people ask me for that one piece that they can add to their cars that will make an enormous difference and this is it. One of the best parts about this modification is that is one that you can easily do and most people won’t even know that you have it done. It isn’t a huge eye sore you have to take off between track days or something that is going to make the car completely unreliable… This can easily take 1-2 seconds off your lap time and believe me you will be happy with it. 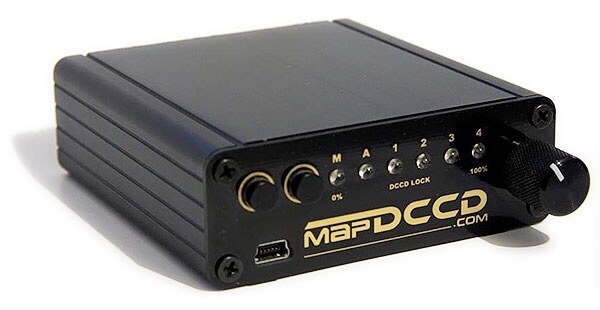 To go along with the front and rear OS Giken Diffs we installed the MapDCCD controller which allows you to set up maps for your center diff. As we use this more it should come to life a bit more. Thank you to all my sponsors and supporters! Racing Safety Part I: Who are you driving with?